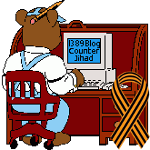 Nigeria — 1389 Blog - Counterjihad! Boko Haram and ISIS: Is there a difference? Why hasn’t the Obama administration labeled ‘Boko Haram’ a terrorist organization? Canada: Repeal Section 13 and deport this ungrateful immigrant back to Nigeria!